Back in mid-December we got the big announcement that Daybreak’s new game was essentially a retread mash up of PlanetSide 2 and whatever they are calling the Battle Royale part of H1Z1 these days, which itself was build off of PlanetSide 2 as I recall. And thus PlanetSide Arena was born… or was at least revealed. Not the worst thing Daybreak could announce. Not something that interests me, but not completely off-base I suppose. It still seems a strange move to attempt to jump into the battle royale arena, which H1Z1 pretty much proved was viable, with a new-ish product that is pay to play when it will have to compete not only with Fortnite and PUBG but also their own game, which is free to play. Such is the way of things I guess. Anyway, the announced launch date at the time was January 29, 2019, or this coming Tuesday as I write this. That seemed aggressive, though who can say since they were borrowing heavily from PlanetSide 2. And launch could mean early access or some other dodge. However, apparently that date did end up being too aggressive, because this past week Daybreak announced that the actual release was to be postponed until March 26, 2019. If the work needs to be done, it needs to be done, but I always get a bit of an eye twitch when a team shows up just before a deadline and says they need more time… a lot more time… to get things done. I’ve been through that before on projects. Then again, maybe this is a sign that Daybreak made enough money on lifetime subscription sales in December that they can afford to take the time. If you’ve pre-ordered… which you can only do on Steam… you get to play a bit earlier in what they are calling the “Founders Season,” though I imagine that will add up to being the beta/stress test, which can be fun, hilarious, and frustrating by turns. Anyway, no PlanetSide Arena until March now. 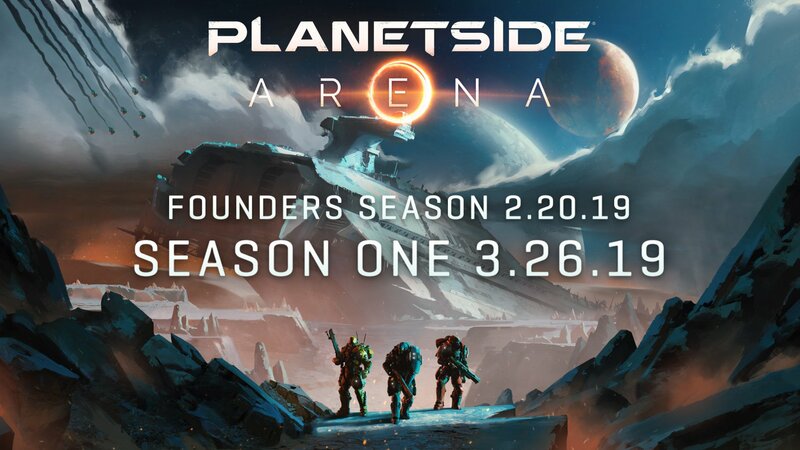 This entry was posted in Daybreak Game Company, entertainment and tagged PlanetSide Arena on January 27, 2019 by Wilhelm Arcturus. What PC title ever launches on time these days? Even Battle Royales made using existing assets, which you’d think might be some of the fastest to market, seem to miss whatever dates they announce. Case in point, Intrepid’s Ashes of Creation: Apocalypse, for which I keep getting invites to limited-duration beta tests weeks after the supposed launch. It’s probably a good thing. The alternative is to do what Atlas and Fallout 76 did: stick (roughly) to your dates and serve up something so buggy your metacritic score goes into negative numbers. You can recover from that – Atlas will – but it’s surely better to take a smaller hit for tardiness so you can launch with something people can at least log into and play. 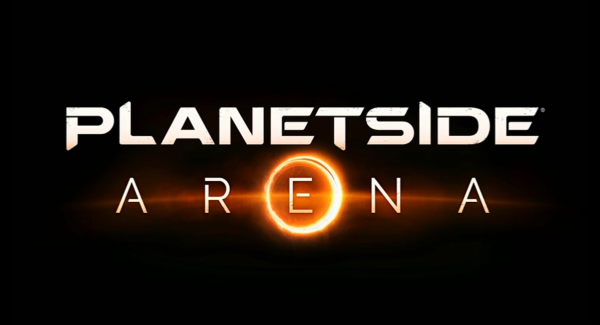 I’m interested to see how Planetside: Arena does. I don’t have any interest in playing it but I do think there’s more interest in the Planetside franchise than generally imagined. People who play it – or who have played it – often sound surprisingly warm about the experience. Obviously I would like it to make a decent profit because that will help the business in general and thereby make it more likely the games I play will keep running. On the other hand I’d be wary of a success on the scale of pre-PUBG H1Z1 because history suggests that tends to pull internal interest among developers – or their managers – with a dangerous gravity. A nice, steady, moderate success with a playerbase that sticks with it would be ideal. Some chance! Having personally played planetside 2 for several years, I can confirm that it’s an awesome experience. There are only two things in the trailer that do not happen in game. The first is the guy running on top of the plane and shooting the people in side, since that particular plane is armored against anything smaller than a 20mm cannon and the game’s physics don’t allow that kind of stuff to happen. It’s possible to walk on planes in the air though, if they’re hovering. The second thing is a guy stabbing someone while cloaked, which you have to de-cloak to do in game. Everything else in the trailer I’ve seen happen in game. The scale of it is about as close to EVE as a first person shooter can really get.